"Unfortunately, none of them have led to anything good," he said. Just before 6 p.m. Saturday, investigators used metal detectors to scan the front and back yards of the home in the 3600 block of North Lister Avenue. Police continued their search through the evening, including calling for a fire department ladder so they could check the house's gutters and roof vents. LeRette sought to ease any apparent tensions that may have existed between Bradley, father Jeremy Irwin and police. The family is not unhappy with the police investigation and continues to pass along its leads and ideas, LeRette said, adding that Irwin spoke with police and the FBI a couple of times Friday. "We don't get any feedback, but we're not dissatisfied," LeRette said. "We're in the dark like everyone else." LeRette said lawyers are now working with the family to set up a trust fund for donations for a reward fund. Welcome Fanta! I thought the 911 call was made by the dad from his cellphone which was the last I read yesterday. Media miss words and exaggerates in all the cases. You can't trust the media that's why it's best to get info from as many sources as possible and evaluate from there. I saw the Judge's show last night, I think she is tops! Why are the two older boys still up at 10:30 on a school night? I think I heard them say Deborah son slept in her room in the same bed with Deborah. ???? Hope it's not the neighbors to the left of Lisa's house. I did not see anyone I would allow my young children sit and watch a video with at that location. I missed the judge interview trying to catch the full episode today...it appeared to have alot of info from the parents on it. ok mom was talking with neighbor Maria while children watched fairytale video with neighbors 4 yr old daughter in her room? this took place at Irwin's home, video watched in Irwin's boys room while mom's sat outside in front talking. lisa put to bed first, than boys, everyone down by 10:30 according to mom. Mom typically locks door but cannot recall this particular night? first time ever dad worked night-dad typically comes home at 5pm from work, never works nights/overnight. Mom says she left computer room open...corner of screen in computer room popped out - I am guessing easily visible from front exterior of home for dad to notice? Dad checked mom, quizzed her on popped screen, than went to check Lisa who's door was open and they never leave it open. Was that it or is there more? That's all I got from the 4 minute clip. now they dust the front door and check the roof as JerseyGirl said?! NBC Action News wanted to know more about these tests and how they work so we spoke to several experts. Alan Jennerich worked with the FBI for 25 years. He now administers polygraph tests. He says there are different test formats that can be given. Some focus on one issue, some three or four, but they all measure the same thing how your body reacts. “Just if you were out there running and you were running and you were all sweaty and your heart is racing and I order you to stop that you can’t stop it, it's your nervous system it's nothing you can control,” explained Jennerich. Jennerich said the test measures your sweat, your breathing and your blood pressure. “What makes the polygraph so accurate is there is a huge what I call a donut hole...one side of the hole is passing and one is failing and there is a big hole that is inconclusive and that is what makes it so accurate is the inconclusive area is very large. If you fail one relevant question, you fail all of the questions because the person is going to focus on what's bothering them the most,” said Jennerich. He said it’s a science he believes in, but admits it’s not 100 percent accurate. So when Mom Deborah Bradley said she failed, “If she passed it she didn't do it. She wasn't involved. The fact that she failed it doesn't mean that she is involved either it's just a tool for the police to go by along with the many other factors,” said Jennerich. He said it should be looked at as tool. 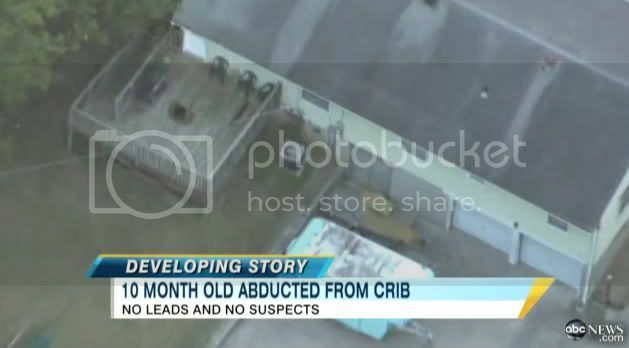 KANSAS CITY, Missouri (CNN) -- Kansas City police said Saturday that they are glad the parents of a missing 10-month-old Missouri girl have resumed conversations with them. "We couldn't be happier about it," police Capt. Steve Young said. "Their involvement in this investigation is critical." A meeting was held Saturday evening. Investigators have searched about 300 homes and apartments in the area around the home. Lisa Irwin hasn't been seen since Monday night. Federal authorities joined police in the search effort this week -- which included an inspection of a landfill and a nearby creek -- speaking with neighbors and sweeping the area with metal detectors. Police said they have no suspects or solid leads. Michael Lerette, a family spokesman for the parents of the missing infant, said police collected what could be forensic evidence in the case, but authorities have declined to comment on that claim. From the backview of this home looks like a front to back split level home.. In NJ the Front to Back Split looks like a rancher from the front but is actually 2 levels..
@BunnyNC I hear that the room is the computer room. @CaseSignal it's my normal day to work! @CaseSignal I honestly have no idea. Detectives aren't talking to us. Very interesting to hear what people at the local Wendy's about baby Lisa. Sure they are loving all the business from the tv crews! In older homes built in the late 50's early 60's the screens were put on and inserted into a track and a metal clip pushed over to lock and keep in place.. I wonder why the screen wasn't cut vs trying to put the screen in.. I think this is why the screen was bent trying to break in.. Would of been alot easier , less noise and less time consuming to just cut the screen. Still interesting that it was a front window facing the street.. Page created in 10.251 seconds with 19 queries.